Industry tracker TrueCar predicts U.S. vehicle sales totaled 1.38 million in June, up 8% versus last year. 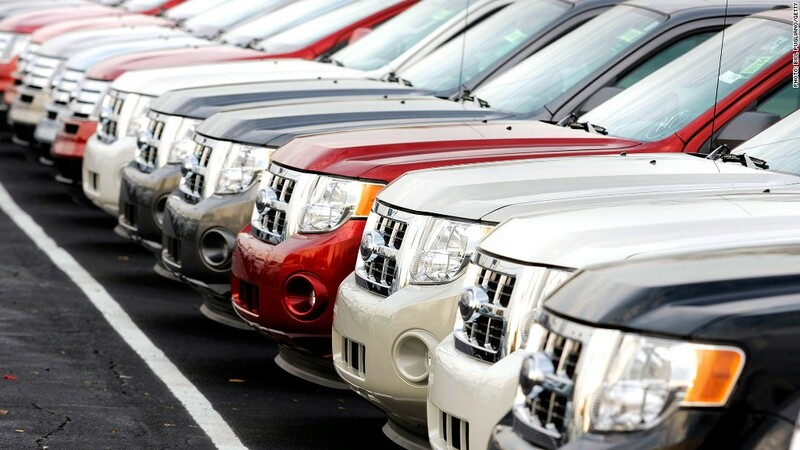 Car sales kept on rolling in June, providing further evidence of the recovery in U.S. auto demand. Major automakers reported June U.S. sales totals that solidly increased versus a year prior and came in above analysts' expectations. Industry-wide sales hit 1.40 million, according to industry tracker Edmunds.com. That translated to a seasonally adjusted annual rate of 15.9 million, the best since November 2007. General Motors (GM) led the way nearly 265,000 vehicles sold, up 6% versus last year and the best month since September 2008. "America's families are better off than they were at the beginning of the year and they believe -- with good justification -- that the economic expansion is going to continue," Mustafa Mohatarem, GM's chief economist, said in a statement. Ford's (F) June sales were roughly 236,000, up 13.4% from a year prior, while Chrysler's sales hit nearly 157,000, up 8%. Toyota (TM) sales jumped 14% to more than 195,000. "[T]he recent surge in consumer demand is real and not going anywhere," TrueCar senior analyst Jesse Toprak said .